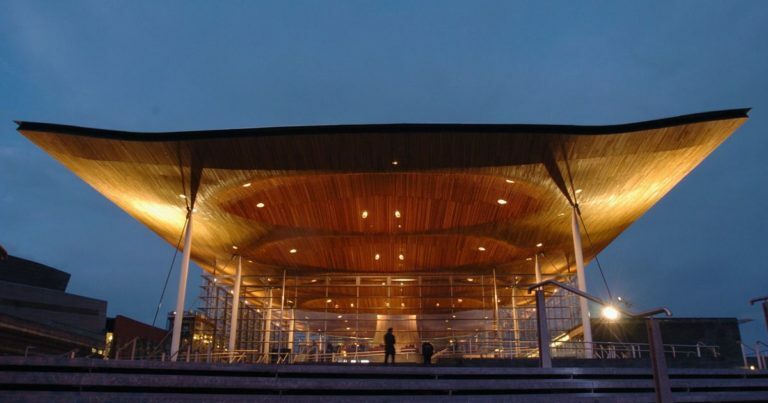 This text represents the evidence provided by the Civil Engineering Contractors Association (CECA) Wales to the National Assembly for Wales’ Children, Young People and Education Committee on their Inquiry into the status of the Welsh Baccalaureate Qualification. In case you are unaware of our organisation and the interest we have in this inquiry I should stress that, we represent the majority of Wales’ largest and smallest civil engineering contracting businesses who employ over 6,000 people directly, as well as many others through extended supply chains. These businesses play a huge part in supporting communities across Wales and with a cumulative annual turnover in excess of £1bn they make a significant contribution to the economic prosperity of our nation. They are also major providers of training and apprenticeship opportunities and rely heavily on employing school and college leavers to enable them to build the infrastructure that our nation needs to prosper. The quality of the skills, behaviours and work readiness of these individuals is of huge importance to these businesses. I will focus my response on each of these issues in turn. There remains a significant lack of awareness and understanding of the qualification in the civil engineering contracting sector and, therefore, it is difficult to assess the value of the qualification to these employers. The lack of understanding and awareness could be due to a lack of engagement with employers during its development and launch combined with a very poor response by schools and colleges to the qualification. My perception is that far too many schools do not value the qualification due to its vocational nature, particularly those preparing learners for academic progression, and as a result do not dedicate high quality teachers to the subject. This lack of value attached to it by schools and colleges also hinders the ability to positively promote the qualification amongst learners, parents and employers – effectively creating a vicious and downward spiralling circle. However, those employers who, for a variety of reasons, have a better understanding of the qualification do value it as they recognise the skills and behaviours that are cultivated by the qualification are the very things that employers need in their workforce. Based on my earlier response that far too many employers have a limited awareness and understanding of the Welsh Bacc it is unlikely that those employers could realistically value a qualification that they know so little about. However, those that have a good understanding do value the qualification as it meets many of their needs which are not necessarily delivered through other more “traditional/academic” qualifications. I believe that if more employers understand what the qualification can do more would value it and actively promote it. From a parent’s perspective, whilst I have a good understanding and do value it I know of many parents who don’t and some who actively discourage their children to follow the qualification as they feel it is neither rigorous nor equivalent. I suspect this view will be difficult to change without positive promotion via the education sector – which would need them to value it first. For the reasons stated above I do not feel that the qualification is viewed by sufficient schools and colleges as being rigorous and equivalent and reflects a deep-seated obsession with academic routes and qualifications as opposed to vocational subjects. I believe this is a significant cultural issue that needs to be challenged within the educational sector. Unless the value of the Welsh Bacc is “sold” to employers, parents and learners (in that order) then it will always suffer from lower status compared to more traditional subjects. If this is not addressed then universal adoption will exacerbate the current situation. However, from an employers perspective, as long as the subject is accepted by those in education and well promoted to employers I would wish to see it universally adopted. I am unable to comment on the impact within schools and colleges of its universal adoption but, given pressures on resources and the cultural favouring of academic qualifications over vocational qualifications, I suspect that fewer resources and energies will be devoted to the Welsh Bacc sadly. This approach will continue to favour academic over vocational “achievers” and disadvantage a high proportion of learners in Wales who, potentially, have significant contributions to make to our future prosperity and wellbeing. From an employers perspective it is difficult to comment on this point as we do not work in this environment. However, the skills and behaviours promoted through the Welsh Bacc, if presented by higher quality teachers, potentially supported by employers, should underpin work on other subjects, help to create more “rounded” individuals and help to make learners far more “work ready”. The perception from many parents and learners, I suspect, would be that another subject, that they may view as being less rigorous, less equivalent, lower value and lower status, would impact on progress in other “higher value” subjects. I would challenge this perception but it will need significant efforts to change these perceptions. In terms of benefits and disadvantages this needs to be viewed against what we expect our schools and colleges to deliver. If it is to “churn out” learners with as many academic qualifications as possible but with limited “work readiness” then arguably the Welsh Bacc does not suit this model. However, if we recognise that the academic route is not suitable for everyone and that “work readiness” is important, along with practical skills and workplace behaviours, even for those pursuing academic routes, then the Welsh Bacc, in my view, is essential. In summary, my response is based on an employers perspective but with an awareness, from a parents perspective, of what the Welsh Bacc is and what it can offer. My overall feeling is that engagement with employers has not been conducted particularly well, or in many cases, at all, and so many remain unaware of the Welsh Bacc and what it can offer. However, what is clear is that the content of the Welsh Bacc is very well suited to the needs of employers in the civil engineering contracting sector (and, I suspect, for other employers) and is valued by those who understand it better. Its vocational nature with a focus on practical skills and business as well as softer skills and behaviours are the kind of requirements which are constantly flagged up by our members, very often above academic and technical achievements (which are easier to assess and tend to be taken as “givens” for certain roles). For employers, particularly in the infrastructure/construction sector, the Welsh Bacc offers a very important route to gain “work ready” employees with far greater exposure to the skills and behaviours needed to thrive in a commercial and business environment. There are already significant opportunities for employers to be engaged in delivering the Welsh Bacc in schools and colleges but these opportunities are not being fully exploited despite the social requirements of many construction contracts and the Corporate Social Responsibility (CSR) commitments of many employers. If these commitments could be harnessed in parallel with a concerted effort by government, local and national, and schools and colleges, to promote the value of the Welsh Bacc to parents and employers then I believe we could fully realise its potential to support our future employees. To lose this qualification would be a significant step back in harnessing the skills of all our learners – not just those of an academic persuasion. I trust that these views and observations are helpful to you and your Committee but please contact me should you wish to discuss these matters in greater detail.